The Northridge Group — Brainforest, Inc. The Northridge Group is an interim staffing firm that provides talent and consulting for the technology market. Their focus is on people teaming with people, and they wanted their logo, visual identity and marketing materials to reflect that brand. 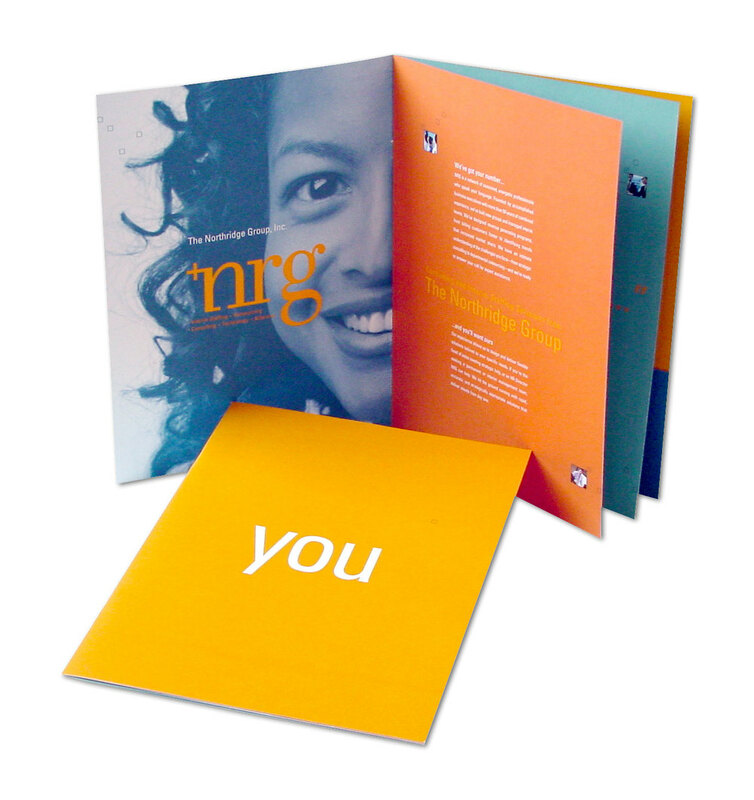 The Brainforest-developed tagline “you + NRG” spoke to both sides of their market; both the talented consultants that represented the company in the marketplace, and the clients that hired them. The Brainforest designed logo reinforces this partnership concept, incorporating the “plus” sign as an important part of the company mark. To further reinforce the human side of NRG, the faces on company business cards were randomly printed, giving each consultant a combination of portraits.